Make saving a cinch with these lesser-known tricks. 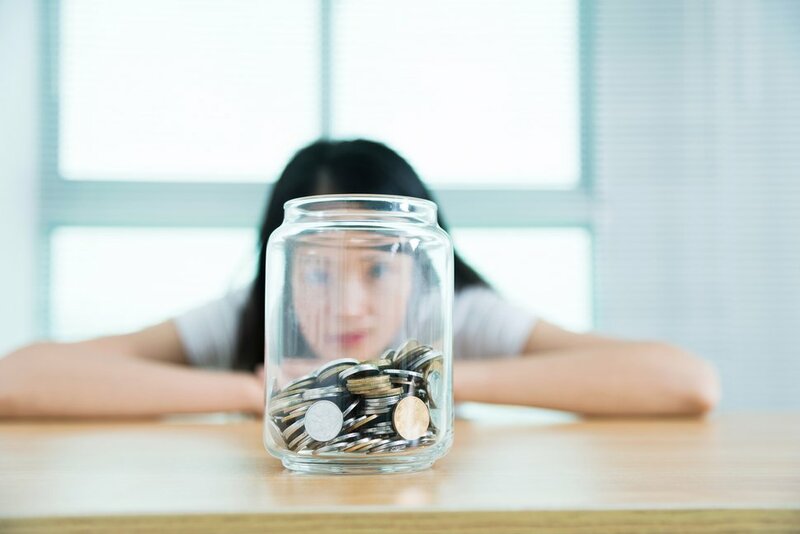 Building an emergency fund, creating a nest egg for retirement and socking away money for your children’s college fund are fundamental steps to ensure long-term financial well-being. But how do you save money when you’re on a stringent budget? While it can be challenging to set money aside on a small salary, it can be done. So if you’re looking to pad your savings, use these expert-backed strategies. Make a game out of saving. “There’s only so much you can save when you’re barely making ends meet as your savings is your income minus your expenses,” Gilchrist says. However, “what you can make is unlimited,” she adds. She suggests bartending or entering the ride-sharing market. You could also become a personal shopper for the delivery service Shipt, a side gig that’s gained steady momentum. If a side hustle doesn’t appeal to you, Gilchrist has another suggestion: Ask your main employer for a raise. Modify your income tax withholding. If you receive a sizable tax refund every year, Elio Alfonso, a professor of accounting at the University of Tampa, suggests that you look at adjusting your withholding allowances. “Basically, you are giving the IRS an interest-free loan during the year for absolutely no reason,” Alfonso says. “You should have more of that money in your bank account earning interest and working for you.” If you opt to withhold less from your paycheck, just make sure that you put some of that money aside from each pay period to go into savings. Johnson advises downloading the right financial apps to optimize savings. “One popular app is called Acorn. You tie Acorn to your debit card, and it rounds the purchase up to the nearest dollar, effectively allowing you to invest your spare change.” Here’s how it works: If you buy a latte that costs $4.44, when you use your debit card, $5 will be taken out of your account, with $4.44 going to the coffeehouse and $0.56 going into your investment account. “This allows you to save money as you make everyday purchases and you don’t have to make the decision to invest the money,” he says. Identify areas where you can scale back. “Take a look at your monthly expenses and see if there are any areas where you can reduce your spending,” says Joshua Zimmelman, president of Westwood Tax & Consulting LLC, in Rockville Centre, New York. “For example, replace expensive dinners out with more home-cooked meals or cancel your cable in exchange for cheaper streaming services like Hulu or Netflix.” Alternatively, you could also negotiate your cable bill or switch insurance providers and go with a cheaper option. “There are probably a lot of spending cuts you can make that will barely affect your day-to-day life but could save you hundreds of dollars a year,” Zimmelman says. “Don’t waste money on late fees and penalties. Avoid late fees and interest charges on your credit cards, loans and other bills by always paying in full and on time,” Zimmelman says. If you’re struggling to pay bills, you can get accustomed to a routine where you’re always paying bills late – and seeing that you got it paid at all as a victory. But take a look some time at how much you’re spending on late fees. For instance, late fees on credit cards can set you back $25 or more. If you pay your credit card late every month, aside from paying higher interest rates than you otherwise would on revolving debt, you’d be spending $300 a year – in late fees.